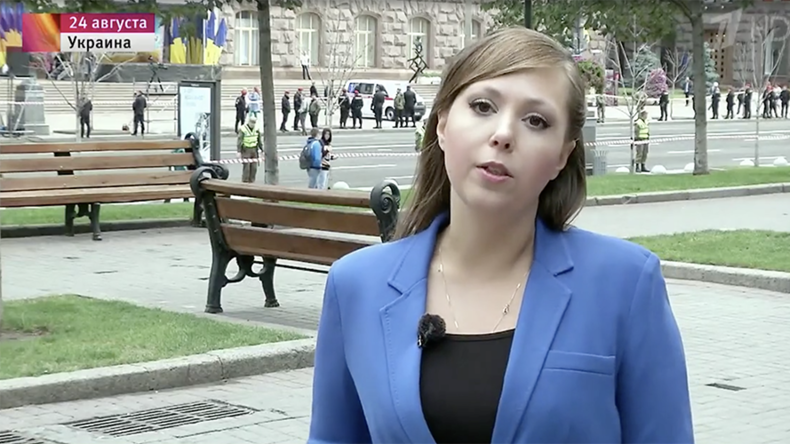 Russia’s Channel 1 correspondent Anna Kurbatova has been detained by the Ukrainian security services in Kiev. The journalist was promptly deported for “smearing” Ukraine and barred from entering the country for three years, according to a security services spokesperson. The incident occurred in the city center of the Ukrainian capital on Wednesday. Kurbatova was “grabbed by unknown assailants, forced into a car and driven away,” according to Channel 1. The Russian authorities are closely monitoring the situation to learn more about the fate of the journalist. “At the moment we don’t have information, but, undoubtedly, we’ll do our best to clarify the situation,” Russian presidential spokesman Dmitry Peskov told reporters. Russia’s Foreign Ministry is also trying to clarify the situation around the correspondent's detention. “The Russian Foreign Ministry and Russian diplomatic institutions abroad are looking into the disappearance of a Channel 1 journalist in Ukraine,” Russian Foreign Ministry spokeswoman Maria Zakharova told TASS. The Russian Foreign Ministry has condemned the incident with Kurbatova, urging international human rights organizations to closely monitor the situation around freedom of the press in Ukraine. “The abduction of the Channel 1 journalist Anna Kurbatova in Kiev on August 30 and her compulsory deportation to Russia is clearly not an accidental occurrence, but a deliberate provocation launched by the Ukrainian law enforcement and nationalist radicals,” the Russian Foreign Ministry’s information and press department said in a statement. 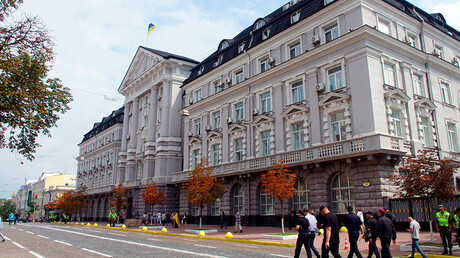 The Russian embassy in Kiev has sent requests to the Ukrainian security services as well as a note to Ukraine’s Foreign Ministry, urging them to clarify the incident and immediately release the journalist. A spokesperson for the Security Service of Ukraine (SBU) confirmed that the journalist was detained by the organization’s operatives. Kurbatova will be deported from Ukraine to Russia and the SBU is currently preparing the paperwork, according to the spokesperson. “Russian propagandist Anna Kurbatova will be forcibly returned to the Russian Federation. Ukraine is a constitutional state, its security services operate strictly within the legal framework. All necessary documents for her deportation are being prepared at the moment. It will happen to everyone who dares to smear Ukraine,” the spokesperson said in a Facebook post. Russian Commissioner for Human Rights Tatyana Moskalkova has contacted her Ukrainian counterpart following the incident to determine whether the security services are following legal procedures. “I’ve just sent a request to my colleague Valeria Lukyanova asking her about the location [of the journalist], her health condition and the consular visit, i.e. whether all the conventions are being observed if she has been detained by law enforcement,” Moskalkova told Interfax. Following her detainment, the Russian journalist was promptly deported from Ukraine, the SBU spokesperson said late Wednesday. “Russian propagandist Anna Kurbatova, against whom a decision of forcible deportation from Ukraine was made, has crossed the Ukrainian-Russian border. She is barred from entering the territory of our country for three years,” the spokesperson added. Just before the incident, Kurbatova had prepared a new report on the ill-treatment of journalists in Ukraine, which has not yet been aired. It’s not the first time a Russian journalist has become a target for the Ukrainian security services. Earlier in August, a journalist for the All-Russia State Television and Radio Broadcasting Company (VGTRK), Tamara Neresyan, was deported following an apparently similar incident. “I was detained in the street and promptly brought to the main SBU office, where I was questioned for three hours. They confiscated my phone, it was done very roughly, nearly breaking my arms. Following the questioning they read me a resolution of the SBU that I would be deported and barred from re-entry for three years,” Neresyan told Rossiya 24 TV channel.